For tough environments storeWALL is heavy duty. It's the original, industrial strength PVC wall panel that is waterproof and weather proof. It's perfect for open garage conditions - install it indoors or out. Note: See picture near bottom of page for available color options. (2) Boxes of StoreWALL Screws: SC61/SC62 (100 per box) StoreWALL color matched 1-3/4 or 2-1/2 inch bugle head screws needed to mount StoreWALL Panels. 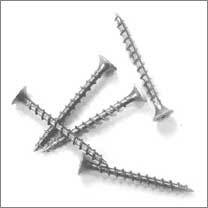 Select 1-34" screws when securing directly to wall studs or other secure building material. Select 2-1/2" screws when securing to studs underneath drywall or other plaster type walls. Color Options: (1):StarFire White (2): Graphite Grey (3) Ruby Red (4) Midnight Black (5) Stardust Silver . Versatile hook with unlimited storage uses. 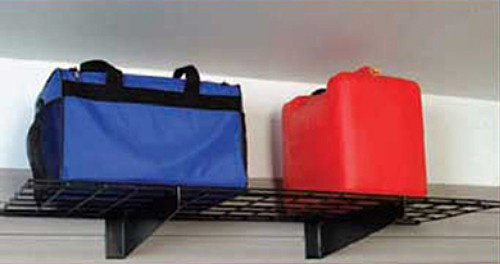 Holds multiple tools, sports gear, trimmers, extension cords, tools, and more. Angled design secures multiple items in place. Note: If you are buying this kit for self installation; Some items ship from different warehouses and will arrive as separate deliveries. Free shipping is included in this special price!